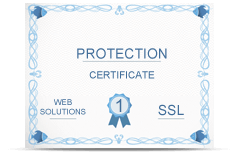 Symantec Website Security Solutions presents a wide range of SSL certificate products. No matter how many certificates you need, one or several thousands and enterprise management, we can offer a product that will suit your business needs – both those of today and tomorrow. Enterprise SSL certificate solutions are perfect for entities that demand instant issuance on pre-approved domains and organizations, multiple administrators, certificate status check, and audit logs of all certificate activity. We understand different needs of different organizations. That is why we put forward several options of certificate management to satisfy your unique needs. Protect the transmission of confidential data on websites, intranets, and extranets. This website security solution focuses on essential SSL, the Norton Secured Seal, the most acknowledged trust indicator on the Internet, and malware scanning. Attract more visitors to your website and encourage them to complete their transactions online confidently with Extended Validation (EV), the green address bar. This website security solution also highlights the Norton Secured Seal, the most acknowledged trust indicator on the Internet, vulnerability assessments and website malware scanning to help you counteract critical website weaknesses. Safeguard your business against attacks with the strongest SSL encryption available to most site visitors. This website security solution features true 128-bit encryption, the Norton Secured Seal, and vulnerability assessment and website malware scanning to help you take action against critical website weaknesses. Shield your customers and expand your business with the most trusted and reliable choice for website protection. This website security solution highlights Extended Validation (EV), the green address bar, and the Norton Secured Seal, the most acknowledged trust indicator on the Internet. Additionally, Secure Site Pro with EV puts forward our strongest SSL encryption with vulnerability assessment and malware scanning to help protect your website against attacks. Founded in 1982 by computer science visionaries, Symantec has grown to become one of the world’s largest software companies. With offices in more than 50 countries, the company has more than 18,500 employees. It serves a wide range of customers, from consumers and small companies to the largest multinationals, providing comprehensive security, storage and systems management solutions designed to efficiently protect information-oriented environments against various risks. Symantec (VeriSign) is one of the most recognised brands associated with IT security worldwide. Symantec has been offering SSL certificates for more than 10 years. They are most commonly used for the purpose of protecting e-commerce services. Symantec is also one of the best known and most trusted providers of SSL certificates. Nearly 97% of banks globally use certificates issued by Symantec (VeriSign). Symantec (VeriSign) secured seals are clicked an average of 250 million times a day on more than 90 thousand websites in more than 160 countries.